Our premium organic coffee is the perfect partner for your coffee business. Choose from 100% pure Arabica or a 70% Arabica/30% Robusta blend, all available in 1kg bags or by the case. Whatever you choose, you can be sure of a top quality product. Our coffee beans are all entirely picked by hand, roasted to produce a greater depth of flavour then expertly blended to ensure a consistent product, time after time, for a taste your customers will love. This blend contains only the finest Arabica beans from Brazil, Nicaragua, Mexico, Guatemala and Ethiopia, for an intense flavour with body and fruity notes. Arabica beans are grown more than 1,600 metres above sea level, with the higher altitude and lower oxygen levels resulting in slower growth and more concentrated flavours. A percentage of the sale is donated to registered charity 1111957 rijo promises. A well rounded coffee producing a sweet, creamy espresso, rijo black blends 70% Arabica with 30% Robusta beans for berry acidity combined with cherry sweetness and finished with a rich, spicy body. Our Triple Certified 100% Organic Arabica coffee carries Fairtrade, Rainforest Alliance and Soil Association accreditation, making it the most sustainable coffee you can buy. 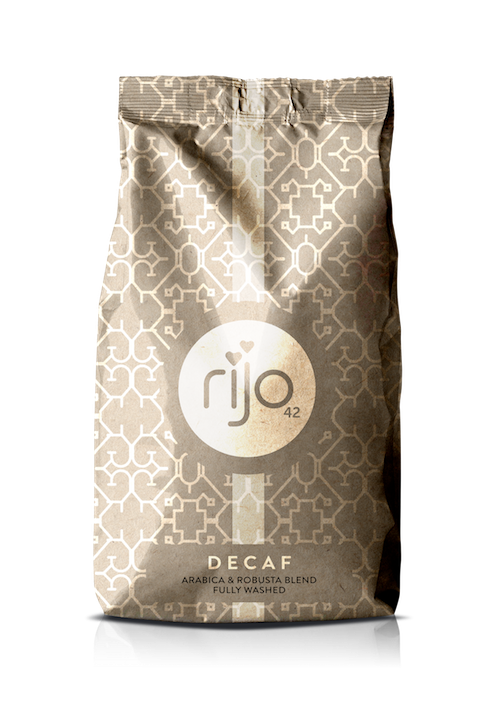 Sourced from Colombia, Sumatra and Peru, this blend has a rich, syrupy body with top notes of juicy blackcurrants and fruity acidity with a smoky, spicy note of dark cocoa to finish. Our 100% Arabica, single origin decaffeinated coffee from Brazil has the caffeine extracted using a special water steaming process. We use only pure mountain water with no added solvents, a process that darkens the beans while retaining a fresh, intense flavour. Do you know your ‘premium’ from your ‘specialty’? Can you tell the difference between ‘off grade’ and ‘below standard’ grade? If you thought coffee was just coffee, then let us be your guide through the complicated world of grading. Coffee is a natural product, and is affected by a wide range of factors including the weather and environmental conditions. This means that each sack of green beans is as uniquely a product of its terroir as a case of wine – and that’s before it goes through the storage, roasting and packaging part of the process. As an initial step on their journey from plant to cup, the beans themselves are graded, based on a number of factors including growing conditions, size, region and quality. They’re then graded as follows. Off grade (grade 5) – this is the lowest in terms of quality, and consists of defective, broken or poor beans. (‘Defective’ in coffee terms usually refers to processing defects such as unripe coffee berries or organic matter which have been mixed in, or occasionally to beans that have fermented. This affects the taste and strength of the finial blend.) Off grade coffee contains more than 17 times as many defects as Grade 1 coffee. Below standard grade (grade 4) – these are low quality beans, usually used for preparing instant coffee. The defects in these beans will compromise taste, strength and complexity of flavour. Exchange grade (grade 3): Also known as standard grade, these are mid-range beans which are used as a measuring stick for the other grades. ‘Exchange’ is also the grade used to determine the price of coffee on NYBOT (the New York Board of Trade stock exchange). Anything below exchange grade will be cheaper and anything above will carry a premium. Premium (grade 2): Now we’re getting to the good stuff. Premium grade is allowed to have some primary defects, but the number of these is strictly controlled. It scores well for taste and strength, and top brands use it widely for their blends. Specialty (grade 1): Think Rolls Royce, Bollinger and Cartier. If only the best is good enough, then this is the real crème de la crème. Specialty coffee has no primary processing defects and is the highest quality available. 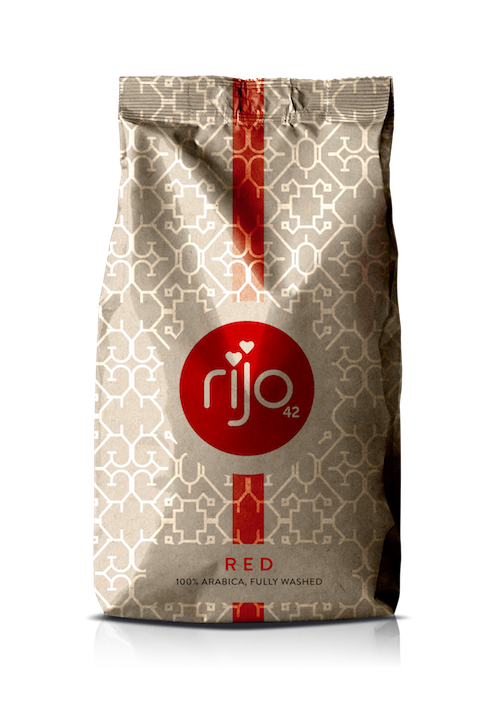 All the beans in rijo42’s RED and BLACK blends are grade 1, and our specialty grade 1 Tunki. Tunki is a beautifully balanced 100% Organic Arabica, single origin, premium coffee from the Peruvian Andes. Winner of four awards, including ‘best specialty coffee in the world’, it boasts a superb floral aroma with sweet chocolate and treacle notes, enhanced with undertones of citrus and red berries.